Whether you prefer your reading in 140 social media characters or less, to medium-length articles online on websites or blogs (like this one! ), or you have hundreds of ePUB files on your e-reader, or even if you just prefer a good old-fashioned book that you can actually hold (and smell – am I right? ), most of us read. And for those of us in the theatre, we need to read to study lines; research shows for acting, directing, or design purposes; read to create lesson plans for our students; or read to make a good grade in pretty much any class you might take. But what do theatre lovers read for fun? To be transported? To learn their craft or someone else’s? To geek out with? Over the past few months, I have been asking my fellow contributors here at StageAgent what some of their favorite theatre books were, whether it was for a summer read, something that greatly influences them, or just an amazing reference book to have on hand. So to kick off 2018, here’s a suggested reading list, a quick run down of 12 books recommended by the StageAgent team. We’d love to hear your opinions, about these books and your favorites as well. I think there’s a little something here for everyone. Enjoy! The Empty Space: A Book About the Theatre: Deadly, Holy, Rough, Immediate by Peter Brook. First published in 1968, this is a history, a timeline, and an analysis of all that theatre is. A Theater of Our Own: A History and a Memoir of 1,001 Nights in Chicago by Richard Christiansen. More than 100 years of Chicago’s rich theatre scene. Towards a Poor Theatre by Jerzy Grotowski. It’s a classic, and the message about theater’s relevance in the age of film continues to be extremely relevant. All the Lights On: Reimagining Theatre with Ten Thousand Things by Michelle Hensley. About the work of the theatre company, Ten Thousand Things, taking shows to unconventional theatre spaces like shelters, prisons, and rural areas, and the experiences in performing there. 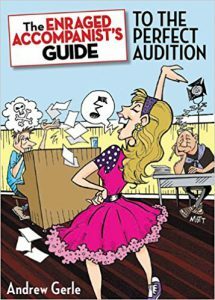 The Enraged Accompanist’s Guide to the Perfect Audition by Andrew Gerle. A fly-on-the-wall perspective. Year of the King: An Actor’s Diary and Sketchbook by Antony Sher. 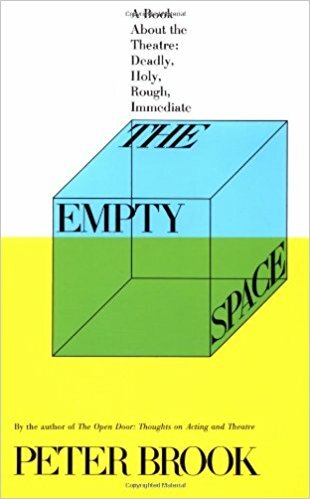 One of the best books out there on acting from an actor’s perspective. Star Power: Defining Your Individual Signature by Sande Shurin. How to develop your x-factor and be the best You you can be! Backwards & Forwards: A Technical Manual for Reading Plays by David Ball. A great book for understanding how plot and story progress in a play. Enchanted Evenings: The Broadway Musical from Showboat to Sondheim and Lloyd Webber by Geoffrey Block. How some of history’s most enduring musicals came about. Finishing the Hat: Collected Lyrics (1954-1981) and Look, I Made a Hat: Collected Lyrics (1981-2011) by Stephen Sondheim. Not just the lyrics, but stories, observations, cut songs, and so much more from a Broadway legend. 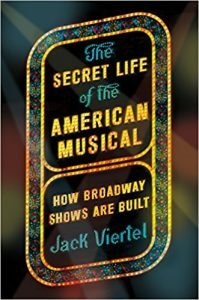 The Secret Life of the American Musical: How Broadway Shows Are Built by Jack Viertel. A great book to really get to know the classic American Musical structure and why it works. Laura is a California native who has been living in NY for the past 11 years after finishing 2 years touring with Mamma Mia! She's the current editor of StageAgent.com who also work with kids and adults as the acting coach at Art House Astoria Conservatory for Music and Art.